I listened to the audiobook version of this which is read by three narrators, one for each of the main characters. It’s very well read except for the occasional dodgy regional accent – Bill Irwin the American narrator really can’t do a northern English accent! Nick Hornby is and incredibly readable author. I never fail to enjoy his books. He has an amazing ability to get right to the heart of human nature. His observations are spot-on and insightful, especially when it comes to feckless men and people who are obsessed by music. I really like how realistic and flawed his characters and their situations are. Juliet, Naked is the story of Annie and Duncan, a boring couple who have been living a mundane life together for fifteen years. Duncan has an unhealthy obsession with obscure 80’s musician Tucker Crowe, which ends up driving their relationship apart. I was really glad when Annie got shot of Duncan, he is an idiot. I found this book really came alive with the introduction of a chapter told from Tucker’s point of view. It was unexpected and rounded out the novel, which I felt would have been boring if we had just stuck with Annie and Duncan’s perspective. Tucker’s 6 year old son Jackson is a fantastic character, he is hilarious. I love how this book is able to demonstrate the ordinariness of famous people compared with the expectations and speculation of their fans. 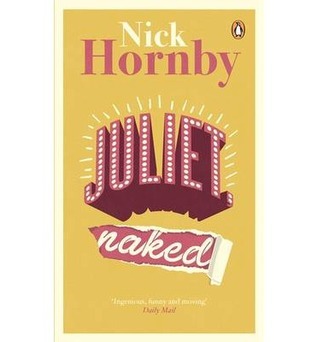 Juliet, Naked is not Hornby’s best book but it’s easy to read and enjoyable and I’m sure his fans would like it. I agree very much with this review 🙂 I love Nich Hornby’s work, and while this isn’t his very best, it’s still so enjoyable, warm and witty. A very nice read!